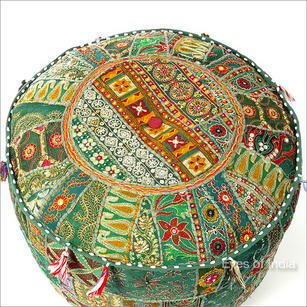 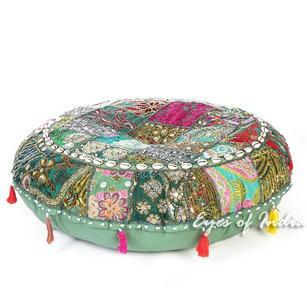 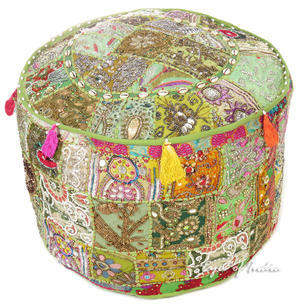 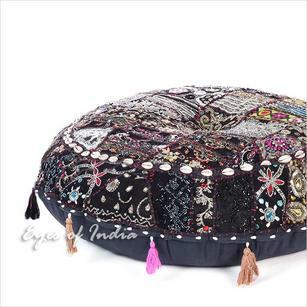 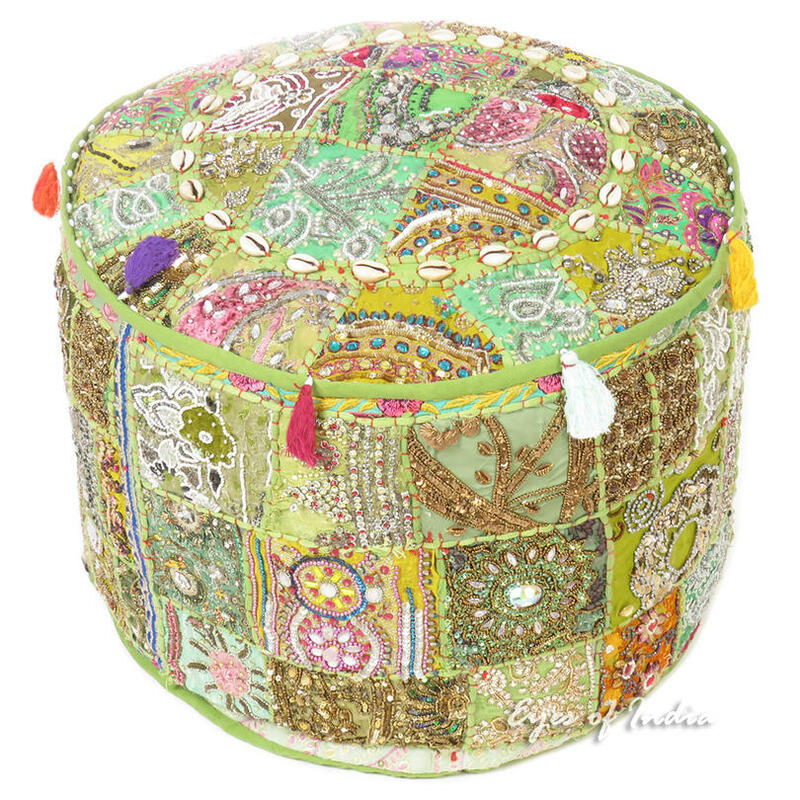 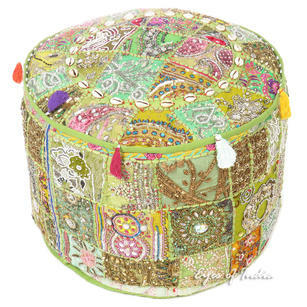 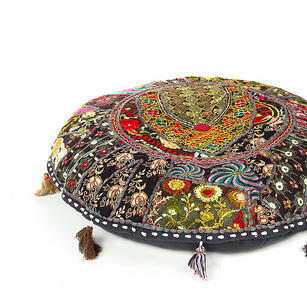 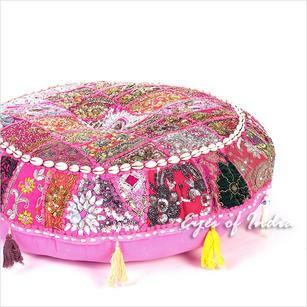 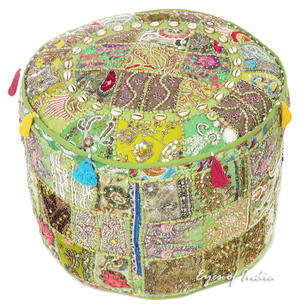 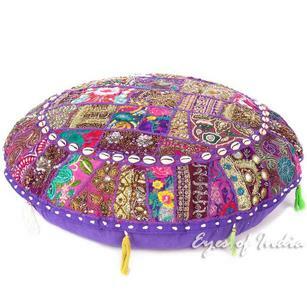 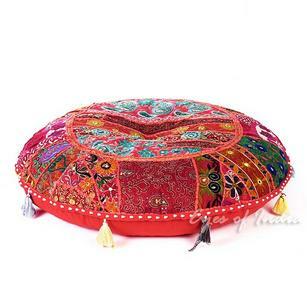 | Green Decorative Embroidered Pouf Pouffe Ottoman Decorative Bohemian Cover - 22 X 12"
Green Decorative Embroidered Pouf Pouffe Ottoman Decorative Bohemian Cover - 22 X 12"
This item ships flat as cover only (filling not included). 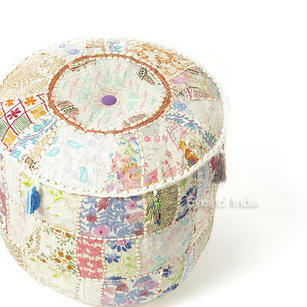 The bottom opening ensures easy removal and washing. 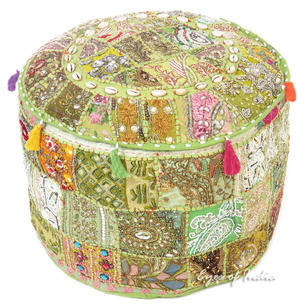 Fill this ottoman cover with any material of your choice—polystyrene, cotton, polyfiber, or fabric scraps—to create a foot rest, a coffee table, or extra seating. 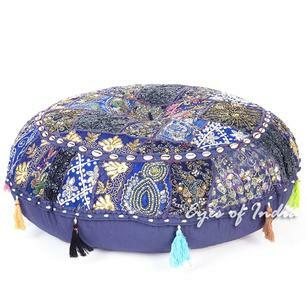 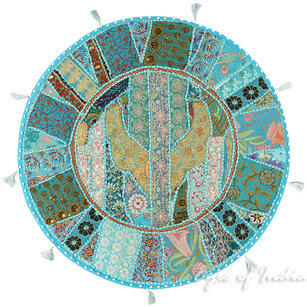 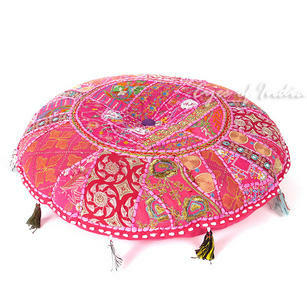 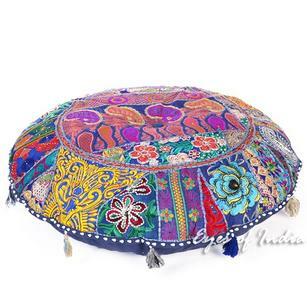 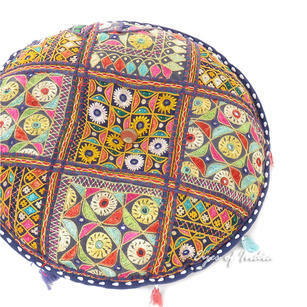 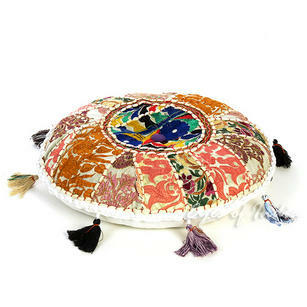 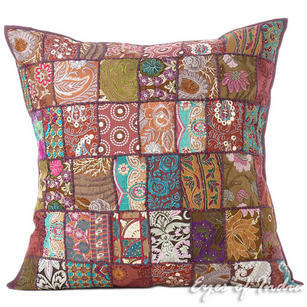 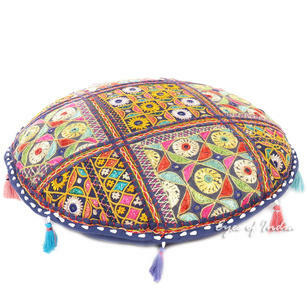 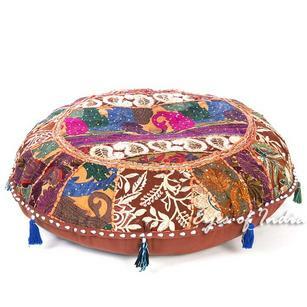 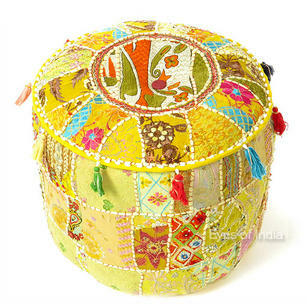 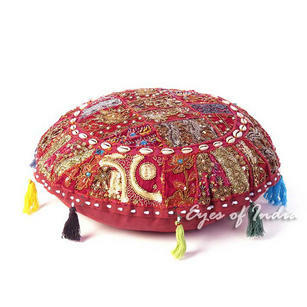 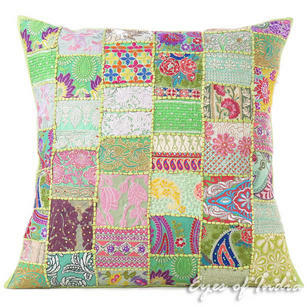 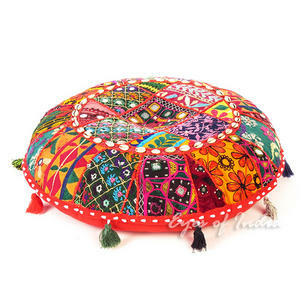 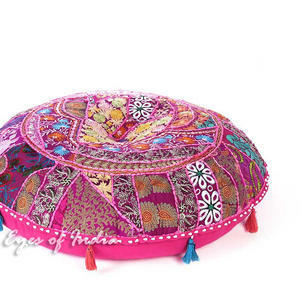 Round Colorful Boho Blue Decorative Rajkoti Bohemian Patchwork Floor Meditation Pillow Throw Cover - 22"
Small White Patchwork Round Pouf Pouffe Boho Bohemian Ottoman Cover - 17 X 12"
Blue Round Colorful Floor Meditation Pillow Cushion Seating Bohemian Colorful Throw Cover- 17"
Small Bright Yellow Boho Bohemian Ottoman Pouf Pouffe Cover Round - 17 X 12"
Small Green Bohemian Patchwork Round Pouf Pouffe Boho Ottoman Cover - 17 X 12"
Black Patchwork Round Boho Bohemian Throw Colorful Floor Seating Pillow Meditation Cushion Cover - 22"
Pink Round Decorative Seating Boho Bohemian Colorful Floor Meditation Cushion Pillow Throw Cover - 22"
Green Colorful Decorative Sofa Throw Bohemian Boho Couch Pillow Floor Cushion Cover - 28"
Bright Yellow Round Decorative Seating Boho Bohemian Throw Floor Cushion Meditation Pillow Cover - 22"